We are Drupal developers who simply love Drupal as a framework, web development, design tool and as a content management system! We have been using the powerful CMS as early as versions 5 to 6 all the way to the current stable releases Drupal versions 7 and 8. We are Drupal services provider based in the Philippines, Manila. Where do we use Drupal? We use Drupal in most of our clients and for different and various purposes and features - portals, corporate and company websites, brochure pages, events, Congress and online registrations and sign-ups, subscriptions, news publishing, E-learning, directory, and networking, among many others! 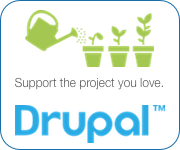 See our portfolio of past and current Drupal clients and projects. Learn more about how we can help with your Drupal websites and get a free analysis, recommendations and quotation. Yes, you as a business owner can and must own and author your websites! We convert those static websites (those HTML web pages that only your developer and a technical guy can access, edit and update) into a dynamic Drupal website (with a user log-in feature to an administration console for content updating). Learn the difference between a static and a dynamic website. We also convert any Drupal website and version into the latest versions of Drupal and WordPress, while retaining those invaluable content and as much as possible the design. In contrast to the above, we also provide services in migrating and upgrading your Drupal website to the latest versions of Joomla or WordPress. We have extensive experiences in designing and deploying Drupal Commerce, UberCart and similar suites of modules for user friendlly yet powerful online shops, stores, catalogs and bookstores. Yes, for security, stability and continuity purposes, you need to upgrade those old Drupal websites into the latest version. Need to re-design those design templates to be (more) responsive, adaptive and mobile friendly to multiple devices? Let us do it for you! Tired of the slow response time of and updating of contents by your current web developer? Or, willing to free your office staff to let them do what they are really supposed to do at work? Let us manage and maintain the website and its contents for you! We can make it better! Need to improve your website's visibility in search engines? We know the Drupal strategies, tools, mechanisms, and tricks of the SEO trade. Let's start on your visibility now! Security is paramount! We can audit, review and make necessary implementations in your PHP and Drupal websites to harden these against hacking attempts and malicious and malware intrusions.